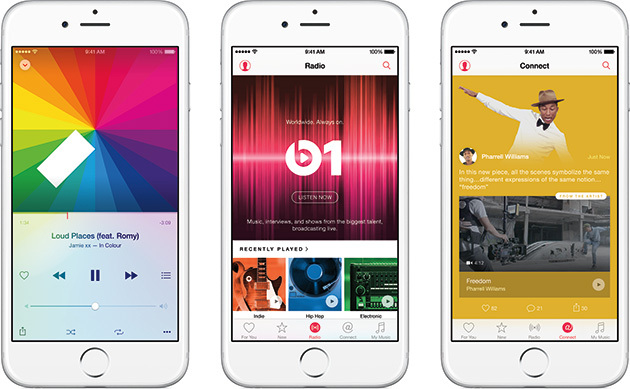 Apple Music: As simple as the name is, what it offers is surprisingly complex. It bundles in a streaming service, a 24/7 radio network and a whole new social outreach tool for artists. Oh, and you'll use the same Apple Music app to access all your regular iTunes purchased music too. As soon as June 30th rolls around, the new Apple Music app will be the default one-stop shop for music on devices with iOS 8.4 and up (assuming you'll cough up $9.99 a month for an individual subscription or $14.99 for a family sub for up to six people). Senior Editor Chris Velazco and I had some quality time with the app post-keynote, and while we appreciate what Apple is trying to do to win the hearts and minds of music fans, it's still very much a work in progress. If there's one thing that struck me immediately about Apple Music, is that its design language is quintessentially Apple. While Rdio and Spotify -- arguably Apple Music's primary competitors -- have their own distinct menu trees and user interfaces, Apple Music looks very much like a default iOS app, with five menu bar options at the bottom and the header up top. If you're familiar with the default Music app on iOS, you'll already know how to use Apple Music. There are a few differences though. For one thing, you can minimize the music player to a mini version at the bottom of the screen, which you can then expand to the full interface. Just like Rdio and Spotify, if you like a particular song or album, you can add it to your My Music collection for later playback. There's also the option to save the track for offline playback, though Apple wouldn't blab about quality and bitrate. The first tab you'll see when you open the app is a "For You" section that lists recommended playlists and albums. The selection is based on a brief setup where you select your favorite genres and artists by tapping bubbles -- if you have any experience with Beats Music, this part will seem especially familiar. In our demo, it listed the same playlists and albums as seen in the keynote, with a couple of Springsteen and rock-related playlists up top and a slew of suggested albums underneath. We're told that the playlists are assembled by actual humans and not algorithms -- apparently Apple hired a number of folks to curate these lists. The tab next to it is simply labeled "New" which, you guessed it, lists new artists and tracks that the service thinks you might like. You'll also see an assortment of recent playlists that are curated either by Apple's own editors or by music magazines like Djmag, Pitchfork and Rolling Stone. There are playlist organized by activities like running, driving and relaxing, too, which we especially liked. Expect the roster of curators to expand as Apple Music swells in influence; we didn't get much time to futz around with it. Of course, there are the usual top song charts here as well, though they're table stakes at this point. 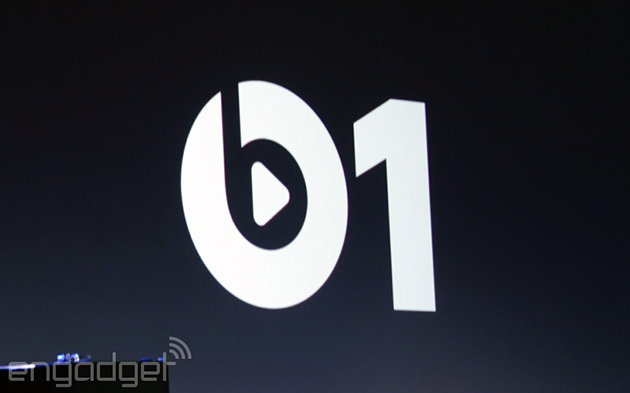 The other big music announcement at WWDC: Radio, a whole new radio service called Beats 1. It's a 24/7 global radio network broadcasting from Los Angeles, New York and London and while it wasn't really up and running during our preview, we're told Beats 1 will feature interviews with artists and segments like a proper radio station. We asked if there'll be a daily roster or schedule so that we'd know who was going to be featured when, and were given a tentative "yes" in response. And hey, if you'd rather listen to all those genre stations from iTunes Radio instead, you can do the same here as well -- the Apple Music version replaces the original. Apple's Connect lives in a tab of of its own, and it's an awfully Tumblr-y way for artists to reach out to their fans. It can be more personal than you'd imagine, too. Once you -- an artiste -- have been verified, you can fill your Connect feed with songs, photos and video straight from within the Music app, no intermediaries involved. Meanwhile, users can heart posts, leave a comments and also share them to other social networks like Twitter and Facebook. Thing is, it's a confusing, top-down social approach that just tries to replicate what artists are already doing elsewhere. Consider one of the service's biggest competitors: A key driver for Spotify's success is that you, the user, have your own presence. You can see what people you care about are listening to. You can cobble together playlists and cast them to the winds, and maybe, just maybe, people will find your peculiar sense of taste valuable. It's a social stream that runs in multiple directions while Apple's construct is mostly just for broadcasting. That's not to say it's valueless, but if you're following Queen Bey on Twitter or Instagram, Connect probably won't do much for you. And then there's My Music, which is, well, your entire music library. 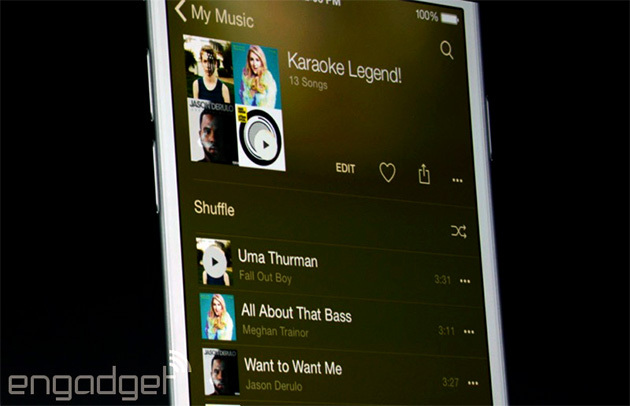 It'll contain both your iTunes purchases as well as the songs that you added from the subscription service. This is arguably the least interesting part of the Music experience, since it basically acts the way the old-school Music app worked once you added all your subscription music selections. If you're a purist, it'll probably wind up being where you spend most of your time. Apple's late to the game when it comes to streaming music, and it's going to throw every feature it can at us until we start buying in. At this (admittedly early) stage, Apple Music feels like a mish-mosh of a disparate elements the company thinks we might want, but whatever it lacks in elegance, it makes up for in presence. There were ways to download music before iTunes, but iTunes grew in dominance simply because it was so easy to use. The same could happen to Music. After all, everyone who upgrades to iOS 8.4 will wind up getting Apple Music's full slate of features free for three months. How many of those people have never used a streaming service before? How many people will sign up because it's there and it's just convenient? Competitors like Spotify and Rdio aren't going to close up shop after this, but their jobs just got a whole lot trickier. That's as good an outcome as a newcomer like Apple could hope for.